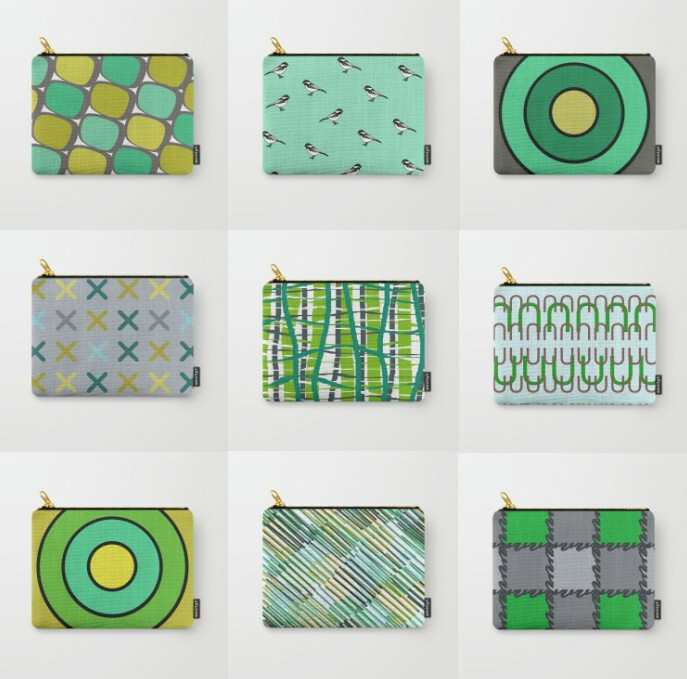 I’ve been playing around with surface design and color to bring you some new items and products. 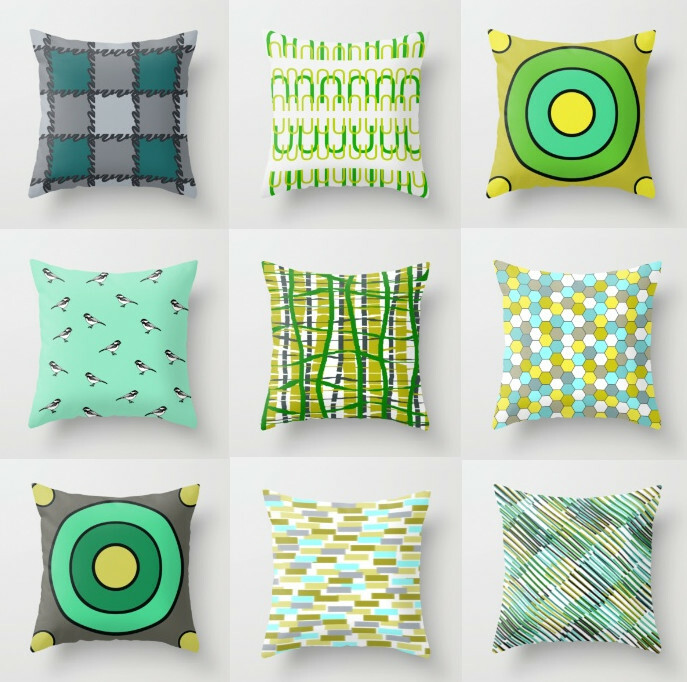 They are available if you click here on my Society6 shop. 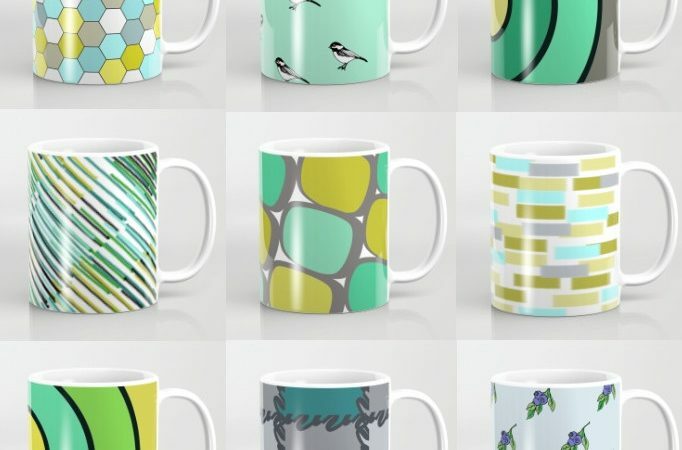 You can purchase everything from: mugs, pillows, zippered pouches, blankets, rugs, travel mugs, phone and laptop covers and cases, shower curtains, tote bags, etc! 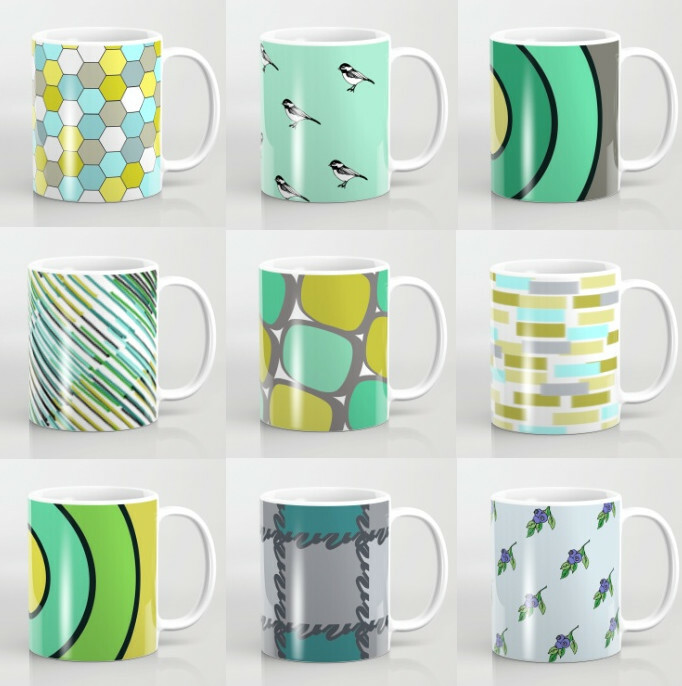 The selection is quite vast and it’s been fun for me to create a different set of items for my customers. Color of the Month February 2017! Color of the Month February 2017!!! Valentine’s is a couple weeks away and so festive red and pink vintage seemed the way to go. Plus with everything that’s happening these days sending a little extra love out into the world seems necessary. Fave vintage: Homer Laughlin hemlock sugar, red salt n p’s, what’s your drink glasses-love these! 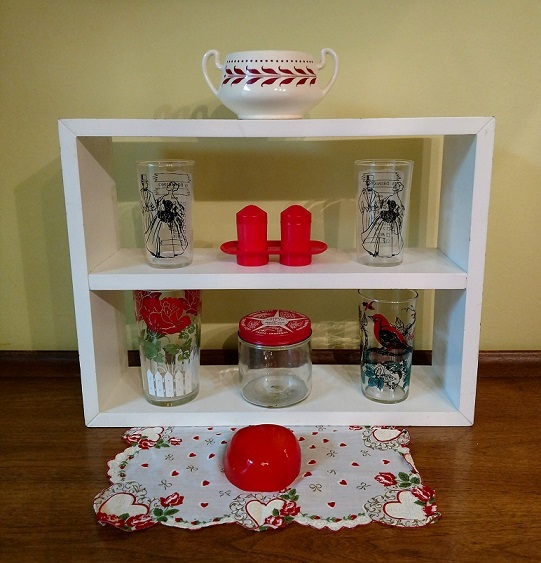 Scarlet tanager glass, red rose picket fence glass, first aid jar, Valentine hankie, and red apple chalkware knife holder. 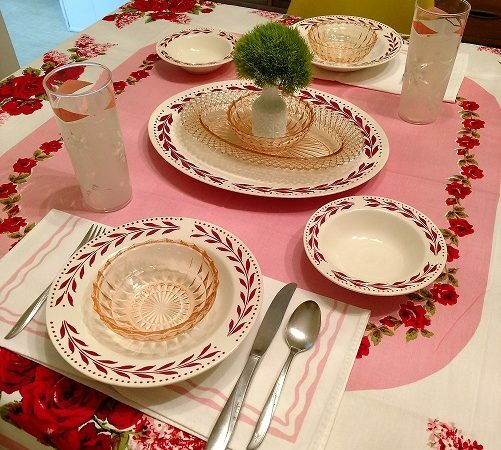 Color of the month table setting February 2017! 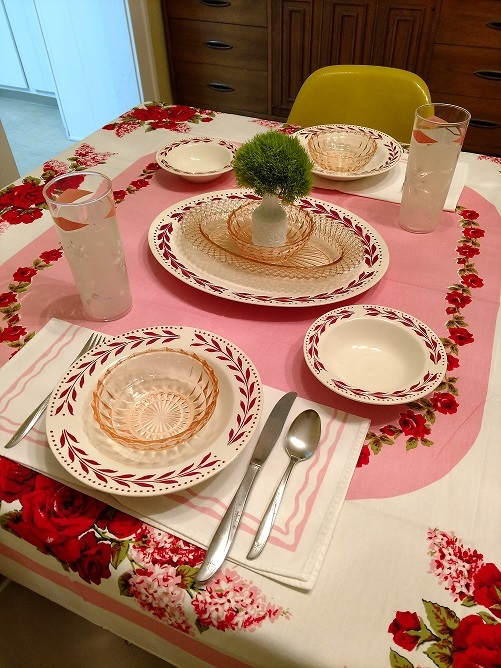 Fave vintage: the stunning like new tablecloth, Homer Laughlin hemlock dishes, pink depression glass bowls and oval piece, pink snowflake glasses, anchored on pink edge napkins with my usual vintage twin star silverware. Oh and how sweet is the tiny milk glass vase with trick dianthus! I did a special vintage setup so you can see it in person at @lightgallerygr this month in GR and get your hands on these pieces!